A Little Life by Hanya Yanagihara tells the story of Jude St. Francis and the people in his life. Jude, left partially disabled by a terrifying injury as a teenager, is distraught about his past and hides most of that past and himself from others, even those closest to him. The relationships he forms as a young and older adult sustain him longer than he ever expected to live, but in the end, Jude has faced too much abuse and heartache to go on. Please do not listen to this (at all but especially) before reading this book! A Little Life by, Hanya Yanagihara is a masterful, life-changing, and indescribably beautiful read. But all of that magic is lost if you go into it knowing the backstory. Not only that, but any reader of A Little Life who truly digests the book will already know everything that is talked about in this insightless "analysis." Trust me, that word deserves quotes. This is written (and read) as if a totally uninterested person was told to read the book so they watched some clips of a bad movie adaption and wrote a report on that which actually says NOTHING. 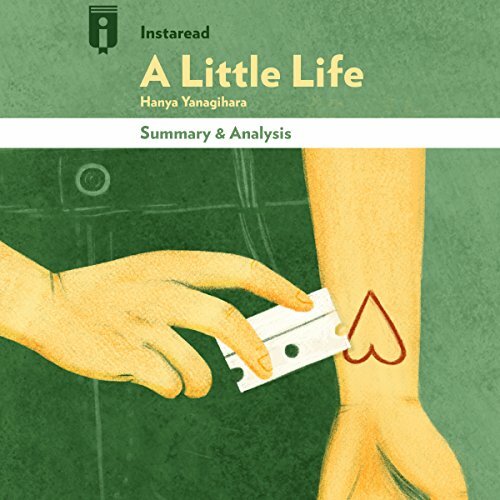 Please listen to Oliver Wyman's BRILLIANT performance of this BRILLIANT novel by Hanya Yanagihara. You will never be the same by the end of it. And make sure you have boxes of tissues ready. I expected some insight into the author's background and motivation for writing this story. There was none of this. The summary was however a list of characters and their very brief relationships to each other. After having read this extremely lengthy book, the reader would already know all of this, and if read before the actual novel, a list of names without actually knowing the characters is worthless.